Every online business requires an efficient delivery process for successful execution of placed orders. In our earlier post we saw how to setup the Product Delivery Date Pro for WooCommerce plugin to facilitate accuracy and ease for customers in placing orders on your WooCommerce store. 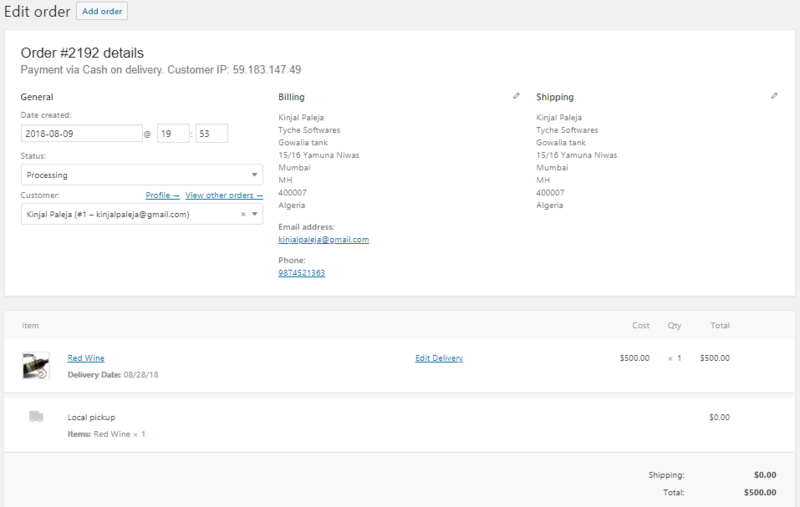 Once these orders are placed, there is a feature in the plugin that enables you to view, filter, print and download CSV file of all the product deliveries. Quantity – Quantity selected for product when order was placed. Order Date – This will show the date when an order was placed. Actions – It is the link to view order details of that particular product delivery. You can switch to month or day view by clicking on Month or Day button. All – By default, all product deliveries will be listed as shown above. Deliveries From Today Onwards – It displays delivery records of current and future dates. Todays Deliveries – It displays all the delivery records whose deliveries are set for today. You can download data of all or filtered deliveries into a CSV file on click of CSV button available on All Deliveries page. All Deliveries page is a one-stop complete delivery details page, which allows you to view all the product deliveries of your WooCommerce store in one glance. On this page, you can view, filter, sort deliveries in different ways as per your needs. 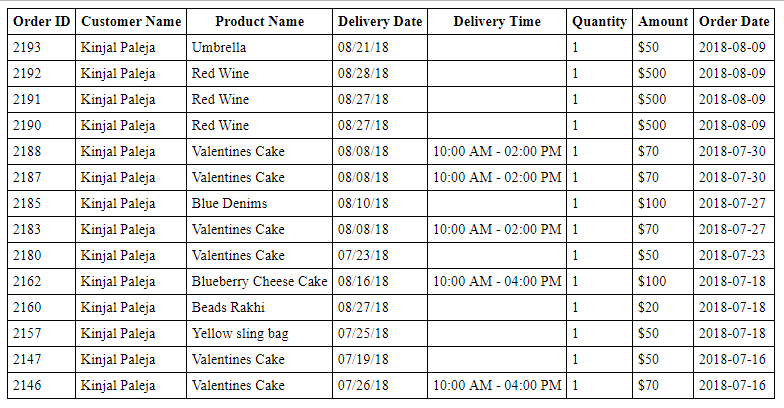 Also, you can print product deliveries or download a CSV file of all the listed deliveries with great ease using our Product Delivery Date Pro for WooCommerce plugin.